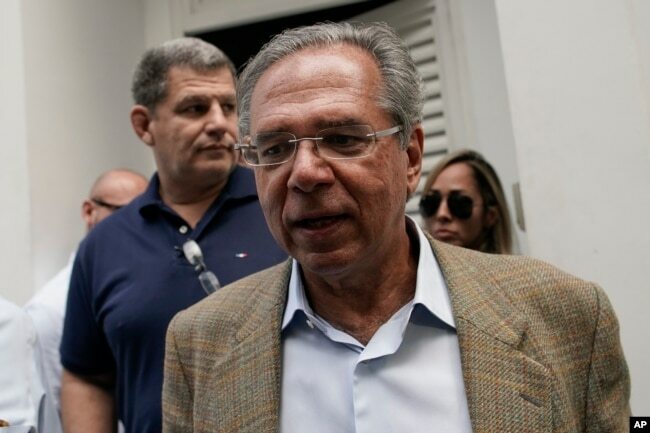 Even if he holds fast to the agenda set forth by his economic guru Paulo Guedes, a University of Chicago-trained economist and the man who convinced many investors to take a chance on Bolsonaro, the former army captain could face fierce opposition in Congress and from labour unions to what will be undoubtedly unpopular measures. His economic agenda will also have to compete for priority with his better-known promises to crack down on crime and corruption, and the latter are much dearer to his heart — and his base. It’s not clear how complete his conversion is. For instance, after Guedes told reporters that he supported privatising all of Brazil’s dozens of state companies, Bolsonaro walked that back, saying he would sell off many but keep “strategic” ones, including big names like Petrobras and Banco do Brasil. The new administration will have only a narrow window to show investors that it’s serious about addressing this problem — by cutting spending or raising taxes — before they will begin to baulk, making an adjustment more difficult because it could drive up borrowing costs. Paulo Guedes, head economic adviser of President-elect Jair Bolsonaro, leaves after a meeting with Bolsonaro and members of his party and campaign, to discuss the presidential transition in Rio de Janeiro, Brazil, Oct. 30, 2018. Attempts to reform the pension system will likely face stiff resistance from labour unions and other groups since any measure will force Brazilians to work longer and receive fewer benefits. Bolsonaro, who in 27 years in Congress didn’t show any particular gift for building consensus, will have to build a broad coalition to get a reform through. His Social Liberal Party holds about 10 percent of the seats in next Congress, but so does the Workers’ Party, which is against such a reform and has vowed tough opposition. 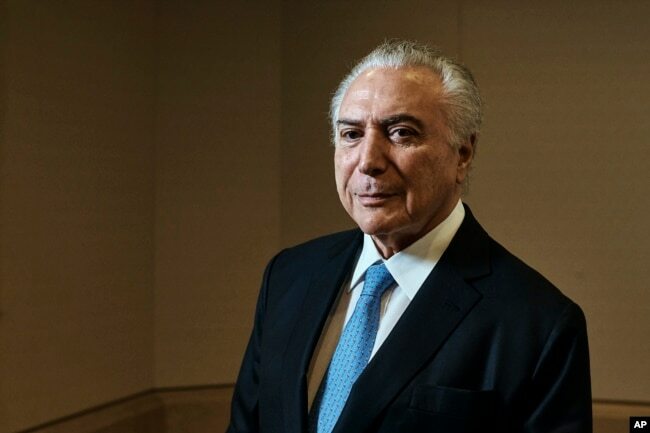 Brazil’s President Michel Temer poses for a portrait at Four Seasons Hotel during the 73rd session of the United Nations General Assembly, Sept. 24, 2018, in New York.